Amsterdam-based motion design studio Onesize has built a solid reputation for themselves in recent years. This is partly due to their eye-catching and technologically advanced opening titles for two design events back in 2009, OFFF and Playgrounds. 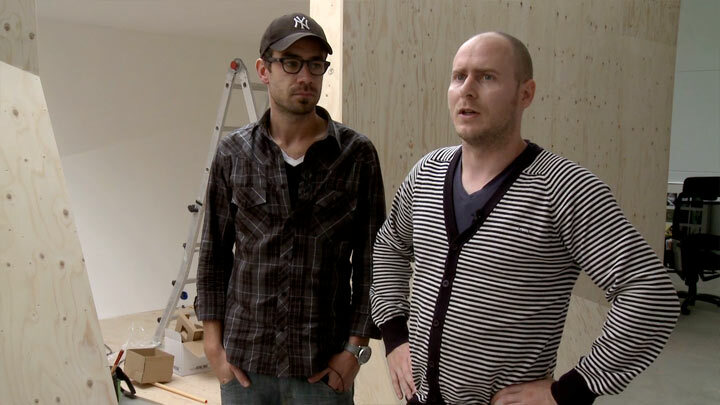 In 2010 we shot a video profile with Onesize founders Kasper Verweij and Rogier Hendriks in their, then, brand-new and freshly painted Amsterdam studio. First published on our 2DVD set, our Onesize interview is now finally online for all to enjoy. Playgrounds festival from Onesize on Vimeo. This epic, 8-minute title sequence depicts a hapless scientist - played by Onesize 3-D lead Harm van Zon - performing wacky experiments on the 38 sponsor logos for the worldwide post-digital culture event OFFF. In his basement laboratory, the disastrous results of his tomfoolery include a miniature atom bomb, and the obligatory lingerie-clad bombshell (with a slight defect). In each experiment, the logos are subject to chemical reactions – except for Microsoft, which has no reaction a all. 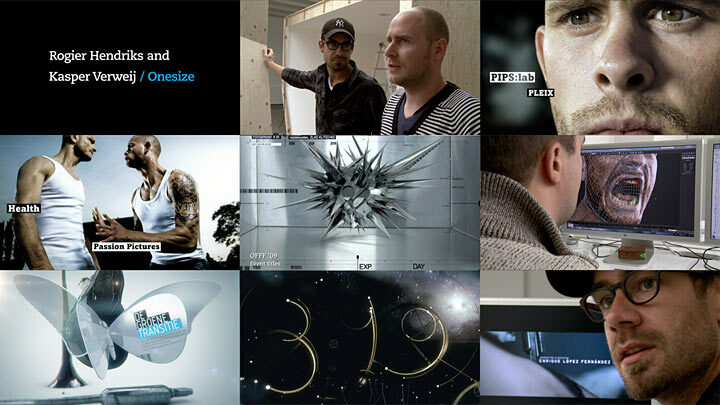 The OFFF 2009 sponsor title sequence is another notable manifestation of the growing demand for the genre outside the movie realm. Mixing the quaint charm of old-school live action with exquisite animation, the result is a highly entertaining and visually stunning sequence that works great on repeat.